Posting this from vacation today. 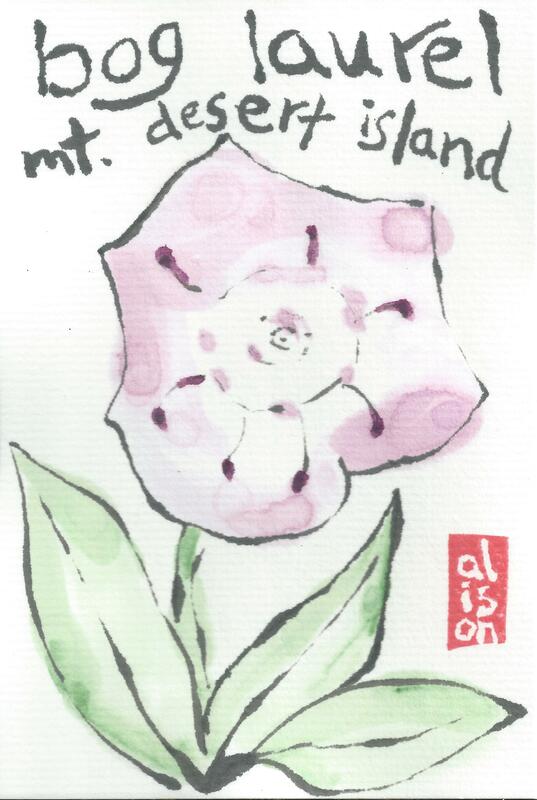 This card was painted from a flower I saw on my last holiday, a trip to Maine’s Mt. Desert Island. Now, we are at Glacier Park for a longer… and much needed… trip. In addition to the hiking and being away from work for a while, I’m looking forward to seeing some monkeyflowers, balsam root, and maybe some beargrass, but hopefully no bears. At least not close up!